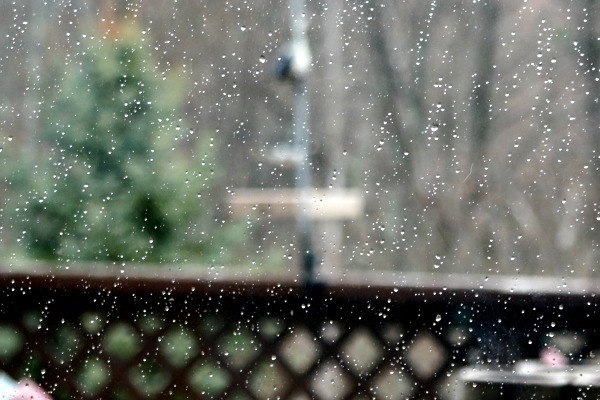 All these gloomy, rainy days are kind of getting to me....I know we really need the rain but it's been raining now for about 4 days. Everyone has their way of preparing for the summer months. 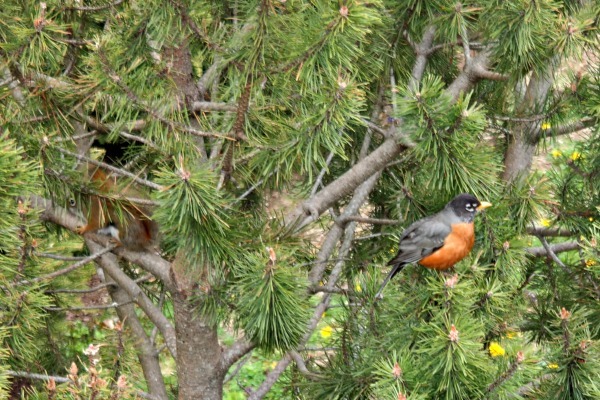 And granted, I do a ton of work in the garden to get ready for the season ahead. But one of the things I do every spring has nothing at all to do with playing in the dirt. Yet it has everything to do with summer. It's time to make the raspberry gin. The sweet magic elixir of summer evenings. 1. 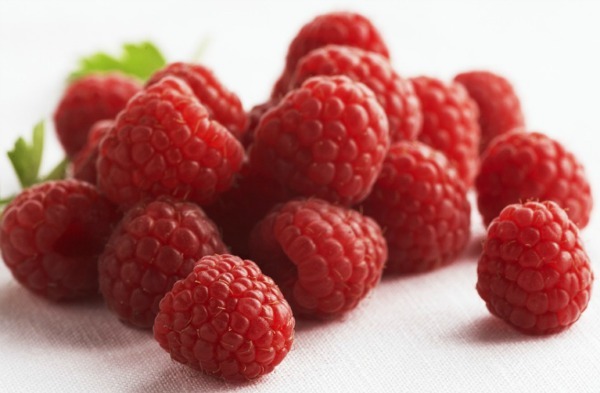 Wait until your market has a really good sale on berries....and then send your daughter there with your debit card to pick up 10 packages of raspberries. Or go yourself....whatever works for you. Just be prepared - the cashier may look at you funny. My market was having their "buy two get THREE free sale - that's always my cue that it's time to make the gin! 2. Gather a bunch of clean jars and lids. I usually use the quart sized mason jars, preferably with wide mouths, for my infusions. However, I lent them out for an event....and they were stolen. Yup. Replacements have yet to arrive....and raspberries don't wait for anything! They need to be used while fresh, before they get all mushy and moldy. So I had to improvise. I used my one remaining large mason jar and a big cookie jar. I know the cookies won't mind. 3. Dump the berries into the jars. 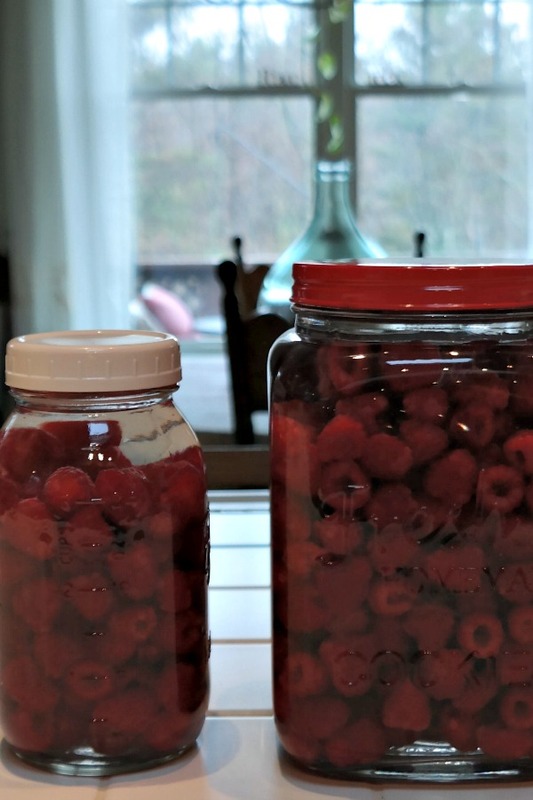 If you are using the large mason jars you will need two pack of raspberries per jar. You want the berries to just about come to the top of the jar. 4. Fill the jars with gin. 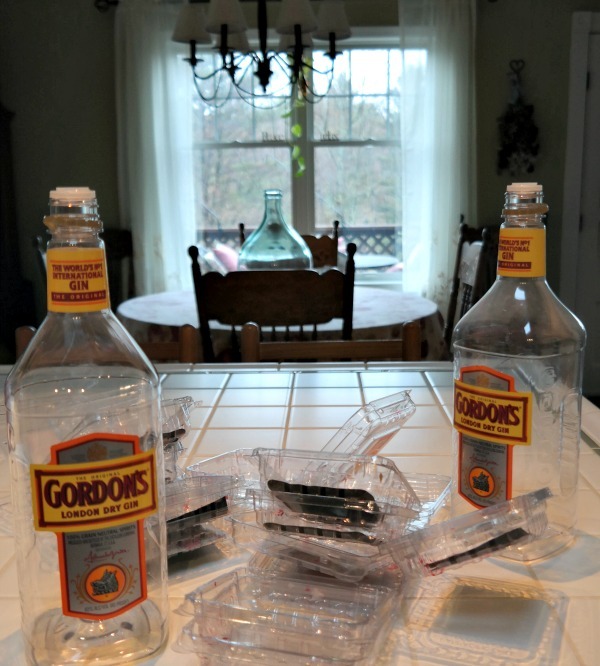 I use Gordon's good old inexpensive gin. I actually prefer it to some of the more expensive brands - it's smoother. 5. Screw on the lids, give the jar a gentle shake, and then loosen the lids a tiny bit. 6. Put into the fridge and every now and again repeat step 5. 7. In a few weeks, check the gin. If it is a lovely red color, and smells no longer of gin but only of sweet ripe raspberries, it's ready! Taste it - if you can still taste the gin, leave it for another week and taste it again. 8. When it's ready, strain it into a clean bottle and label it. The infused gin will keep for as long as a standard bottle of gin lasts. Although I doubt it will last that long once you taste it! You can see details on how I strain my infusions in this post. 9. Call a sweet friend and invite them over to share a wonderful summer evening in the garden or on the deck....you'll provide the refreshments. 10. Chat. Laugh. Love. Hug. Enjoy. You are so right about that, Amanda!! p.s. girl I am tired of our rain too. 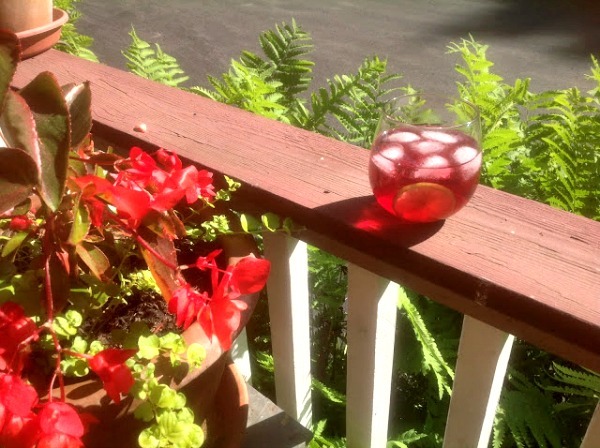 I save the berries in the freezer and pop a few into a glass of prosecco when the mood hits! I bet the berries would also be nice in a glass of icy tonic with lime. I must try that!! I love Amanda's message! I will confess, I've never had gin that I know of. Raspberries and margaritas? I'm for that! 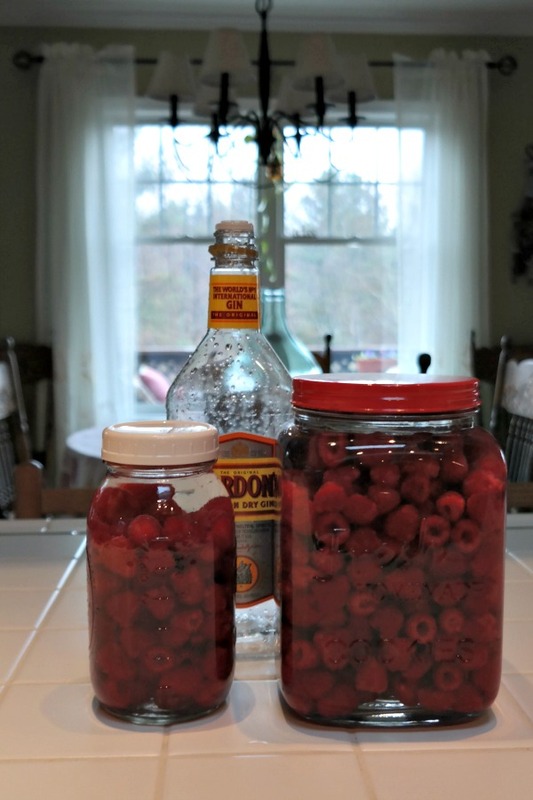 You could do a Raspberry Tequila using the same method! I wonder if my bags of frozen raspberries from our garden last Summer would work for this or if you have to use fresh berries? I'm thinking this is the perfect Summer drink on a hot day! I think they would be perfect, Debbie! The more I read, the more I wanted! Starting out, I was like "yuk Gin" then as I read that it turns into a sweet berry drink, I was sold. I must try this.!!! I honestly did not like gin at all....and then I read about this and I had to try it. Now? 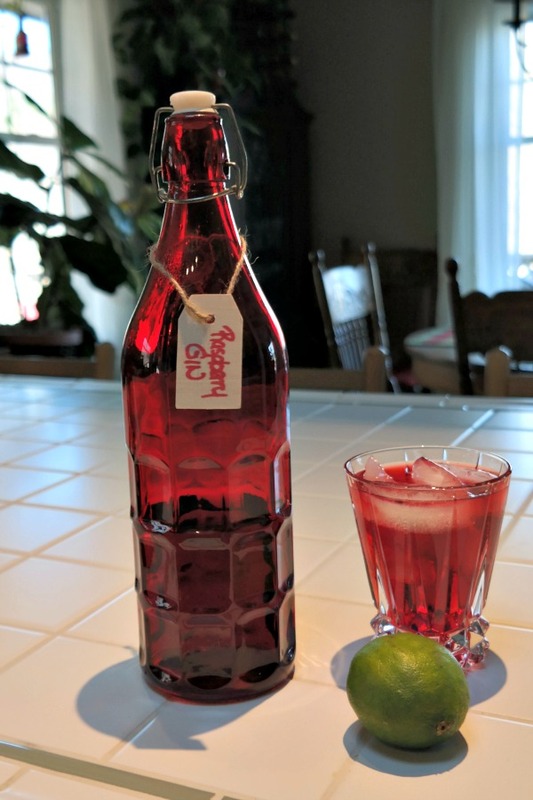 Hooked on Raspberry Gin!! Just kidding...Im drinking wine right now. Thanks for sharing the recipe. Oh, this sounds delicious! Thank you for sharing! I'll share with you any time, Linda! Oh, that is one beautiful looking drink! Hope your rains end soon and you can go out and play in the dirt. When the sun finally comes out I will probably be at work.....boooooo! Oh yes, she would love it! Woo hoo, hope you love it, Donna! I really don't care for gin, but if it ends up not tasting like gin, then I might try this. At least it will relieve our trees of thirst *shrugs*. It's like summer right there in a glass! I need you to come over and help me with some of those indoor projects, Karen! It really does, Melanie, it's amazing how the gin taste totally disappears!! I need one right now....it's been that kind of week! i HAVE TO SAY that really looks pretty in the jar! Very original! Thanks for sharing and linking. We are always glad you are here. You have no idea how good this really is, Laura! I can see why a sip would cool down the Summer day! Oh yes, Jemma, mixed with a little tonic and lime - mmmmmmmm! !